ST. PETERSBURG, April 4. /TASS/. 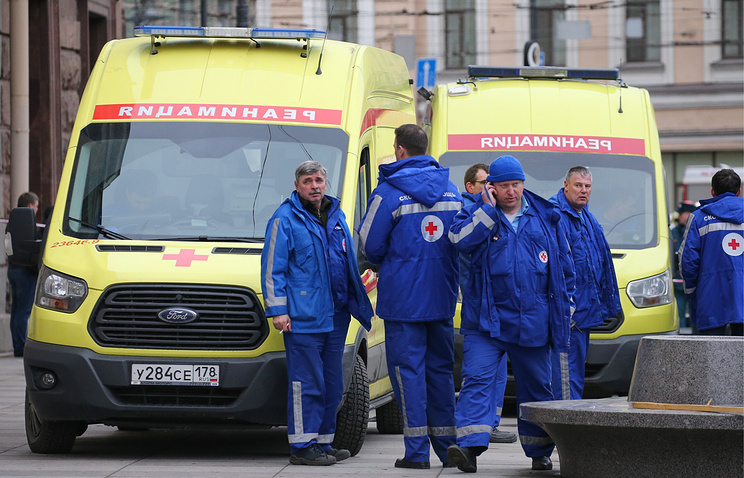 The death toll in the blast that rocked the St. Petersburg subway on Monday has reached 14, Russian Health Minister Veronika Skvortsova said on Tuesday. "Today, we can verify the death of 14 people: eleven at the scene and three others died in an agonizing condition, one of them at the stage of transportation in the ambulance and two others - at a reception area of Mariinsky Hospital of injuries incompatible with life," she told reporters in St. Petersburg. Monday afternoon’s blast hit three foreigners and guests from 17 Russia's regions, the city's Governor Georgy Poltavchenko told the media. There were citizens of Uzbekistan, Belarus and Tajikistan among the casualties. An unidentified device went off at about 14:40 Moscow Time on Monday in a subway train car when the train was moving from Tekhnologichesky Institut station to Sennaya Ploshchad station. The Russian Investigative Committee has qualified the blast as a terrorist attack, but other versions are looked into as well.